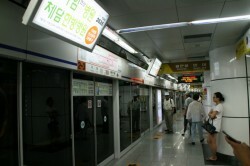 A subway station in Busan. 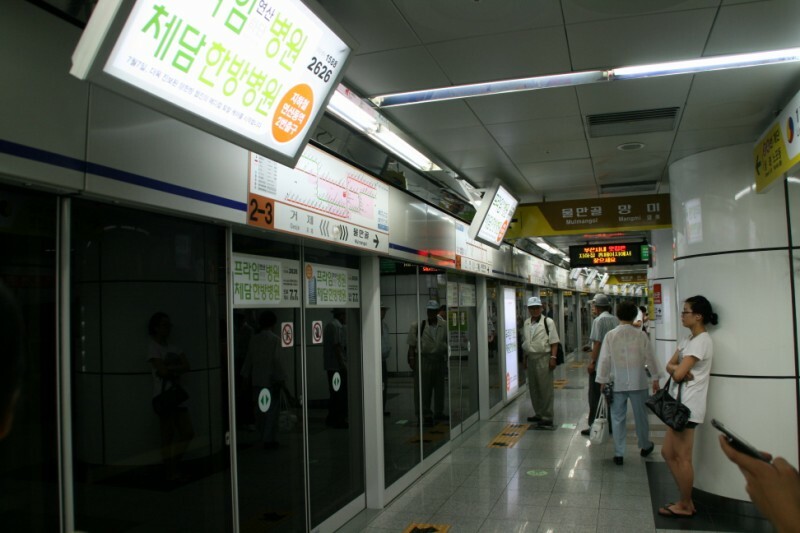 The subway system in Busan is like all the others we used in Korea – fabulous. The trains run very frequently and the stations are well organized, announced in English (and Korean, and Chinese, and Japanese) and everything is, of course, spotlessly clean. Naturally. Notice the arrows on the yellow strip at the edge of the platform. They show you where to line up. There are two arrows pointing in at angles on the sides and one that points out from the subway cars in the middle. The idea is that there are 2 lines of people funneling onto the subway from the sides while a single line exits in the middle. And it works! People really do line up and follow the arrows! 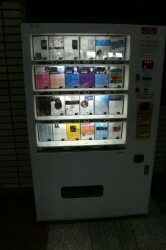 Of course, while you’re on the subway, you might get thirsty, so they have vending machines for drinks. 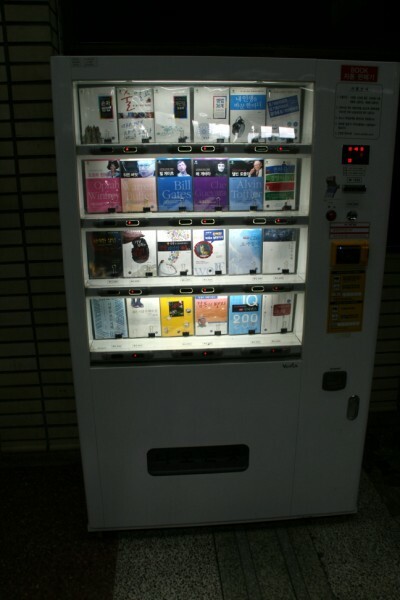 Of course, you might get bored too, so they have vending machines for books. Awesome.